In Ink and Bone, Jess Brightwell learned that the shining light of the Great Library of Alexandria was an illusion ...one that hides great darkness. Now, barred from his goal of becoming a Scholar, he's determined to make his career as a High Garda soldier a success. But news that a friend may be imprisoned and suffering brings Jess back with his old companions, and to a common cause: rescue. Failure means death. Success means that their uneasy truce with the Archivist becomes open war. But they have a secret that may shake the very foundations of the Library ...if they dare to use it. 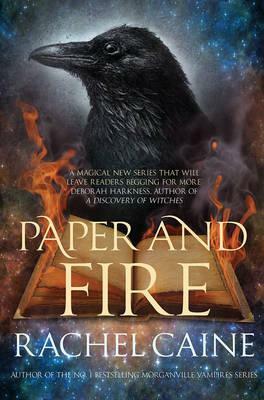 Paper and Fire takes us on a breathless journey from battlefields to ancient tombs, from Alexandria to Rome, and to the edge of a world that must change to survive.